Jim Howard, a California pastor who fatally shot himself in the head at his home last week after a private struggle with mental illness, would sometimes fail to take medication prescribed for his condition. “In talking with some of his friends I discovered that he was known to be on medication and would suddenly go off, which is not recommended,” Rusty George, lead pastor of the more than 6,000 member Real Life Church, in an interview with KHTS on Tuesday. “There were some things there that I didn’t fully know about, those of us closest to him didn’t fully know about. He would make comments apparently to some, we didn’t really take it all that seriously ‘cause Jim was always joking and fun-loving and all of that. And to look back on it, I think anytime you look back, hindsight is 20/20, you start piecing some things together. But you never really know the darkness behind what someone is carrying,” George said. 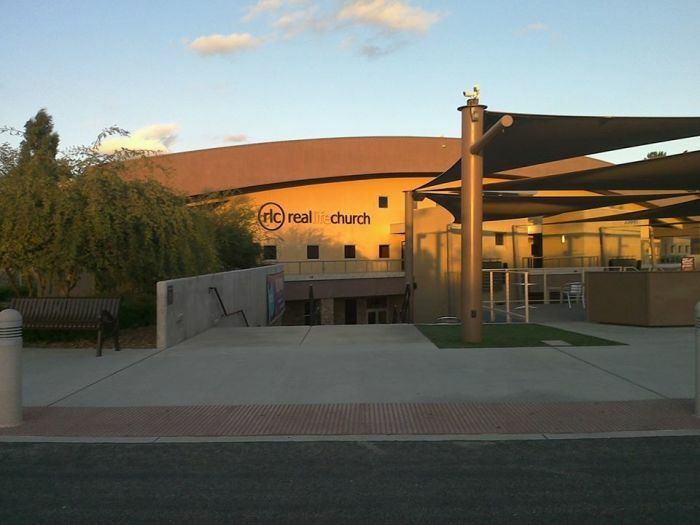 According to his LinkedIn profile, Howard became the lead pastor for Real Life Church’s Valencia Campus in July 2018 and had also been serving as the executive director of the church’s family ministry for the last three years. Detectives told The Signal that they began investigating the death of a person they suspect died from a self-inflicted gunshot wound in the backyard of a Valencia home last Wednesday. Shortly before 3:40 p.m., paramedics with the Los Angeles County Fire Department were dispatched to the home on North Sunny Creek Drive and police were called in to investigate. Carl Goldman, owner of KHTS, said even though he was close friends with Howard he never saw any signs that would lead him to believe his friend would take his life. “I spent a lot of time with Jim but obviously not enough to see the signs. We would have breakfast together and there was no indication,” Goldman said. George explained that Howard’s death has helped to highlight the importance of Christians who are taking mental health medication to not substitute it with prayer. “Medication is such a powerful thing and I think in the Christian community there’s a stigma [of] well, I’m not going to take medication, I’m just going to pray it away. Well sometimes God’s answer to us is ‘OK, but also take your meds,’” George said. “He’s gifted great scientists and doctors with the ability to put together great medication regimens to help us. So why wouldn’t we do that? We go to the doctor if we have a headache or if we have a broken leg. And for many of us, we have this kind of brokenness in our brain with chemicals and whatnot that definitely needs some kind of medication to be on that. It’s helpful,” he added. George also noted that his church would work to continue speaking more openly about mental health issues and the issue of suicide, which appears to have reached epidemic levels in his community, particularly among men between the ages of 40 and 55. “Just having been here in the community for 15 years and seeing the growing rate of suicide in our community, which some stats tell us we’re one of the highest in the nation, and for it to be in this demographic of men between the ages of 40 and 55 that this is an epidemic we need to talk about,” he said. “We just felt that we needed to get out in front of this and let people know that this is something that happens to everybody, this is something that affects everybody and there are people struggling behind their eyes with darkness or depression or sadness that not everybody can see. And the more we talk about it, the more lives we may save in the process,” he said.